Cut the ties of conventional ironing with the Russell Hobbs freedom cordless iron. This innovative iron means you can iron wherever you feel most comfortable. The built in smart light indicator shows when the iron is heating up, ready to use and re-charging. When the iron is ready, you simply take it off its base and iron. The five second fast re-charge time means that your valuable time is not wasted. 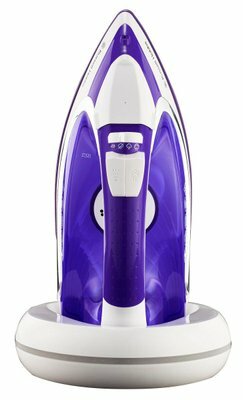 With functions that rival that of a traditional iron, the freedom cordless iron features innovative technology and delivers exceptional power and steam performance.